It is always hiding in the last place you look. Yesterday, I was looking everywhere for my bracelet that I took off the previous day, just before my shower. I remembered taking it off. But I could not remember where I put it down. And I looked everywhere, had my kid and my mom looking everywhere, on our hands and knees, but no bracelet. It was like it vaporized. But I did not stop looking. And I became more and more hysterical inside, with every spin through the house. Because I knew it was there, I just could not find it. Neglected pleasure feels just like that. You have done whatever you could to make good decisions. You have worked hard. You have hit the marks that everyone told you about. And there is still something vital that is missing, that fills you with an uncomfortable upset inside, that intensifies the harder you try to find it. 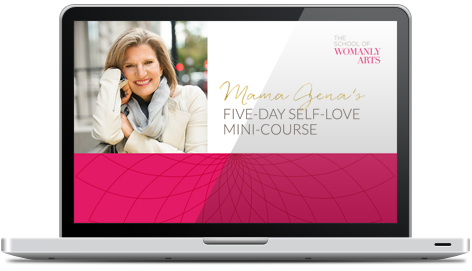 So, I want to give you the roadmap to the top five ways that women lose their pleasure and how to find it again, so you can stop your search, and find yourself, in a whole new way. 1. She is stuck in the misery of a long-term relationship where she feels stifled, undervalued, and ignored, or she is not dating because all the good ones are taken, and she is certain she will never find a great guy, even before she gets out of the starting gate. 2. She hates her job and feels underpaid and under-appreciated. 3. She feels fat, even though she’s not, she feels old, even though she’s not, and she feels like everyone else is sexier than she is. 4. She has it together, and she has created a lot of what she wants, but there is still a nameless longing inside of her that leaves her sad and lonely at her core. 5. She feels a deep sense of hopelessness and immobility as she looks at her options. 1. Start your day with the Daily Fluffs for a little morning pleasure inspiration. 2. Every Thursday, create a new desire list and send your desires out into the twitterverse on #DesireThursdays with Mama Gena. 3. Choose a theme song, for your day, every day, that speaks to your soul. Give yourself a dance break and sing-along break every couple of hours. Today, mine is “Manhattan” by Kings of Leon. 4. Pretend that the streets are your runway, you are the hottest woman on the planet, and that everyone wants you, as you head for work, run a meeting, or do your supermarket supermom thang. I have learned to rock this in flip flops, sneakers, or stilettos. 5. Lip gloss. Always lip gloss. It never fails. Current fave: Laura Mercier’s Bellini. Wanna really press your pleasure edge? Join us in Virtual Pleasure Boot Camp! What other tips do you have as a safeguard against the top five ways women lose their pleasure? Be sure to leave a comment below! Signs you’re on the right track? Trying to be hero? Uh-uh.